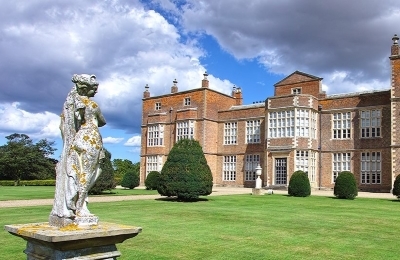 Burton Constable, the home of the Constable family for over 700 years, is one of the most fascinating country houses to survive with its historic collections. 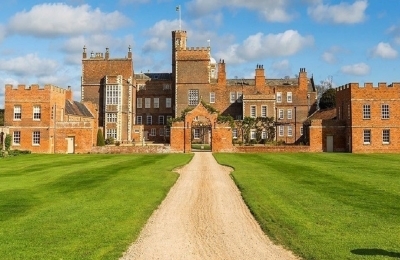 This large Elizabethan mansion and its surrounding parkland is now a museum owned by the Burton Constable Foundation, a charity whose mission is to safeguard Burton Constable for future generations. An area of our main visitor car park is reserved for Blue Badge holders. 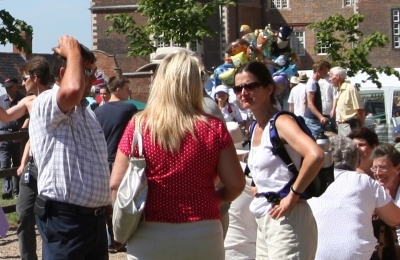 The car park spaces are immediately adjacent to the ramped access into the Ticket Desk, Gift Shop and Tea Room (Stables Kitchen). There is an area in front of the main entrance to the Hall that is reserved for Blue Badge holders. This space is not available on some event days, so please check in advance of your visit. All surfaces are either loose gravel/asphalt chippings. There is ramped access into the Gift Shop and Stables Kitchen. Free wheelchair hire is available for the Stables and Grounds, please ask at the ticket desk. The Stables Kitchen is breast feeding friendly and happy to provide hot water for you to warm baby food and bottles. Our admission policy admits one necessary companion, or carer, of a disabled visitor free of charge while the normal admission fee applies to the disabled visitor. An accessible toilet and baby changing facilities are available in the first stable courtyard. This is accessed via a gravel path and across the stable courtyard, which has its original cobbled surface. The ground floor of the stables is accessible with care. The original cobbled surface in the first courtyard is very uneven. In the second courtyard a layer of concrete has been applied over the original surface so is much easier to negotiate. There is a small step into most of the rooms leading off the stable courtyard. The paths and walkways in the Grounds are mainly gravel and uneven in places. There is ramped access through the main entrance to the Hall. The ground floor is accessible to wheelchair users. If you use a motorised-scooter we ask you to leave it outside the Hall and transfer into one of the wheelchairs we have available for hire (free of charge). We have a stair lift to give access to the first floor. In order to use this, you will need to weigh 17 stone or less, be able to get yourself into the stair lift and be able to operate the controls yourself. In case of emergency you would need to be able to get down the stairs. We have a virtual reality tour of the first floor of the hall, including some of the servants’ quarters not normally accessible to visitors, available for you to watch in the Great Hall. Information folders in large print format are available in each room. We have an audio induction loop at the ticket desk, reception desk in the Great Hall and at the Stables Kitchen counter. Recognised assistance dogs that have been trained by accredited member organisations of Assistance Dogs International (ADI) and International Guide Dog Federation (IGDF) are welcome in the Hall. Please ring 01964 562400 in advance of your visit if there is anything else you need to know. We will be happy to help. Our phones are answered between 9 am and 5 pm Monday to Friday. At all other times you can leave a message and we will get back to you.